They say good shoes could take you to beautiful places, I believe the same thing could be said to books. It will not only sate your wanderlust, but it would also let you don different kind of shoes, dresses, and even lives. That’s the power of reading, and ‘The Gauntlet’ by Karuna Riazi is the prime example of that magic. 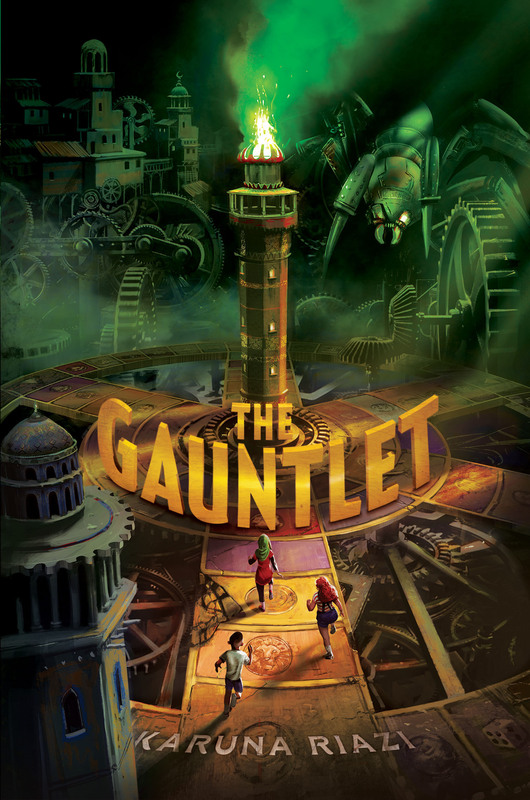 The Gauntlet is a middle-grade fantasy that’s set to take the reading community by storm. 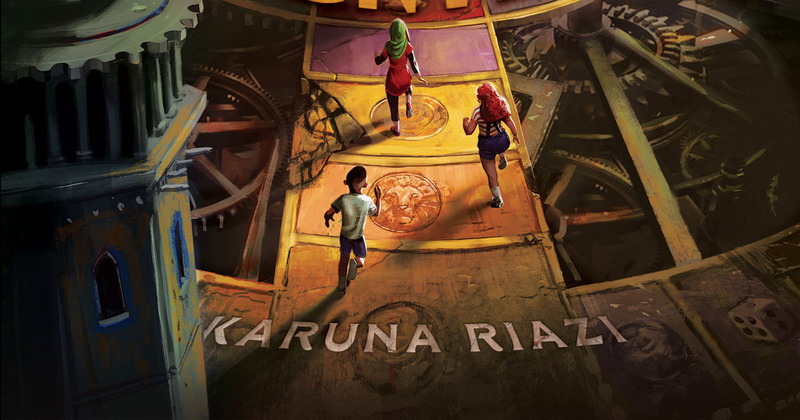 The story follows Farah and her two friends who are dead set on retrieving Farah’s younger brother, Ahmed, who was stuck in a magical gameboard. In order to save him, they must pass all of the trials and battle the diabolical architect. If they fail, they will become the newest prisoner of the game. Today, Riazi will share the ten things she learned as a debut author. 10. Sugar is always necessary. 8. It is easier to block GoodReads in theory, but you really need to block it – before the ARCs even mail out. 7. Always step away from your edit letter once you’ve read through it, at least for an hour. It takes some of the gargantuan out of it and gives it a lot more credibility once you’ve given your defenses time to settle themselves down and listen. 6. Debut groups are not mandatory. If anything, they can be more hindering than helpful. Find your own people and stick with them (and make sure to keep your friends in the loop that have already been through the process, too, because it really helps with the sudden irrational panic and self-doubt), and believe me, you’ll get the same amount of advice, support and cheering. 5. Don’t be afraid to pitch yourself. I will admit that here, my mom has been better at it than I am. “You know, my daughter has a book coming out!” Be ready to describe your book and don’t be too modest or self-effacing when friends say they want to buy it for their kids and ask where they can find it. Always thank them for their support. 4. This is rather specific advice, but if you are an English major, keep your department in the loop early on because your novel might be considered as an Honors thesis. It never hurts to ask your department head. Even if it doesn’t and you aren’t an English major, do let your department and school know about the book deal and the details, because you’ll be surprised at how much school pride and support kicks in. I definitely have been touched and overwhelmed by it. 3. Do not be afraid to ask questions. Nicely, of course, and with the understanding that everyone in this industry is busy, that you aren’t your editor’s only author this season or your agent’s only client (though I am aware that sometimes you may be!) – but do take people up on it when they ask if you have concerns, or thoughts about your cover, or suggestions about bloggers to approach. Do take older, seasoned friends up on it if they want to know if you’re uncertain about aspects they might have gone through, too, or if you want to know if something is normal. 2. Make time to breathe. I’ve played a lot of Sims 4 these past few weeks when I didn’t have anything else pressing, just because I didn’t need to think too hard over it and because reigning over a world where everything can be fixed has been a major balm to my anxiety. This is a wonderful step forward for your career, but it is also incredibly draining, particularly when you are already aware of mental health issues like me. Give yourself space to react as you need to, rest as you need to, talk to friends as you need to. 1. Do what you are comfortable with. This is such underrated advice and something I’ve been taking to heart. If there’s something I do not feel like being part of, attending or endorsing, I am doing my best to discuss why and ask for an alternative. Though a lot of this is taking me out of my comfort zone – getting used to addressing huge crowds without shaking, for instance! – there are also moments when I remind myself that this should not require burnout or me being laid low by a panic attack because I bit off more than I could chew. The Gauntlet is available wherever books are sold. You can purchase it for $9.65 in Amazon.